The long-term consequences of Alzheimer’s Disease (AD) to your loved one can get more challenging in the years to come, considering that AD is a progressive disease. Hence, when your loved one is diagnosed with Alzheimer’s, it will be a practical move to start considering a Home Care Agency in California. You can trust that these professional care providers can extend quality care to your loved one while they stay in an environment very familiar to them – their homes. 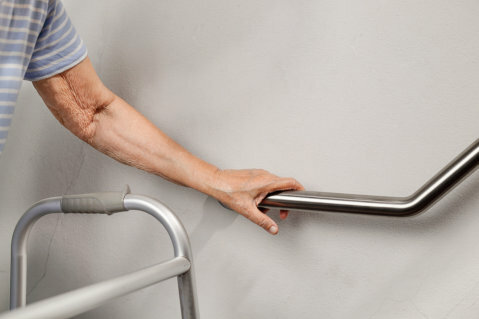 When your loved one is in their aging years, the risks to falling can also increase. When they have AD, this risk can even be higher as they may no longer be able to notice objects on the floor or the slippery floor at the bathroom. Implement fall prevention practices at home, such as keeping the floor dry and clean, ensuring that rugs are taped securely on the floor, installing grab bars on walls and doorways, and putting rubber mats on bathroom floors. To help you in fall prevention practices at home, our home care company in La Mesa, California can also provide you with dependable care professionals. As previously mentioned, bathrooms can be risky for your loved one with Alzheimer’s. Aside from its wet floor, the water temperature in bathrooms can also result in unpleasant accidents to your loved one. They may not be able to determine the right reading on the water temperature. Make sure that before they use the shower, the temperature is already set to the normal level. Due to their impaired judgment, your loved one with AD may lose the capacity of knowing whether the items in a cabinet are safe for them to use or not. They may also mindlessly leave home and get lost. With locks, you can protect them from any untoward incident at home. Our home health aides can also keep them company. You can’t be too relaxed with accidents at home when your loved one has AD. Make sure that you observe other fire safety measures with assistance from professional care providers. Store lighters or matches in a secure place and provide assistance for your loved one when they’re smoking. Additionally, ensure those fire extinguishers are very accessible at home. At Sunshine Home Health Aide Org., Inc., we’re here to help provide quality care and supervision to your senior loved one with AD. To ask further about our services, don’t hesitate to contact us.